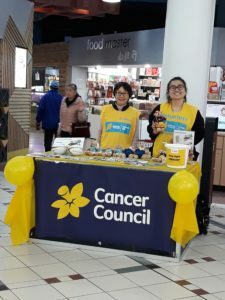 A team of our volunteers supported Daffodil Day by hosting a stall at Box Hill Central on Friday 24 August. We had a more catchy spot this year and more passersby came to the stall to buy merchandise or donate money to Cancer Council Victoria. We raised over $1000.